Selected Villas for rent near Infinity Blue (Mauritius) - Contact us now! Framed by the turquoise blue water of the lagoon, Infinity Blue is the place to enjoy deliciously flavoured Mediterranean culinary delights. 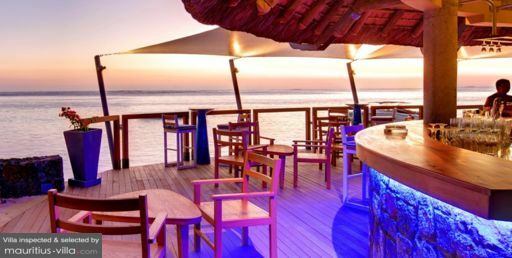 This restaurant is set in a relaxed atmosphere where you will enjoy your meal with your toes in the sand.